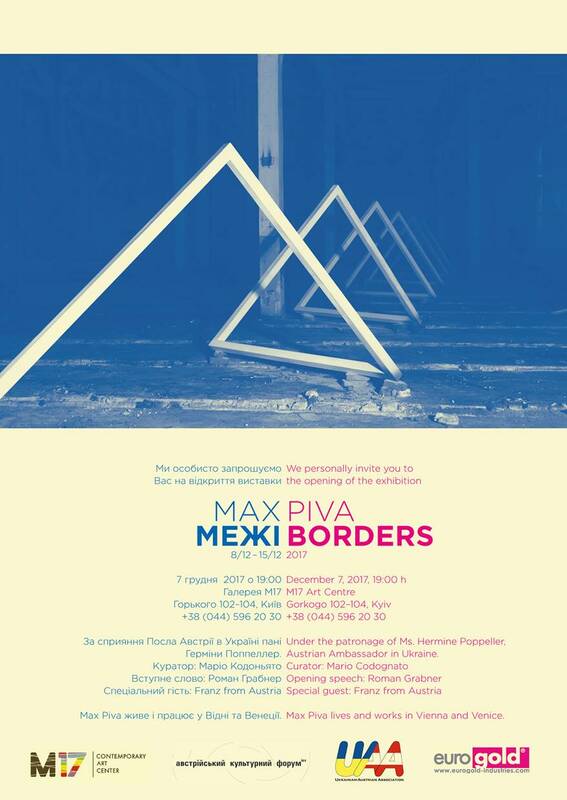 In his works Max Piva considers the idea of the border not just as a geographical location or a political entity, but rather as a definition of human perception together with its own limitations. Any artist works constantly in some way on a borderline, but he is also the only one to define the boundaries of his art. He alone decides whether to cross or not a real or imaginary frontier. Piva's new works emphasize an interdisciplinary aspect while, at the same time they are, consciously, leading to their own limitations. Paintings become objects or, on the contrary, with the use of photography for example, objects become a work of art. The different working techniques are only means to an end and therefore not an independent method. The exhibition is curated by Mario Codognato, former chief curater of the 21er Haus in Vienna and ex-director of the Madre museum in Naples.